In 2009, levels of CO2 in the atmosphere reduced for the first time in 10 years. 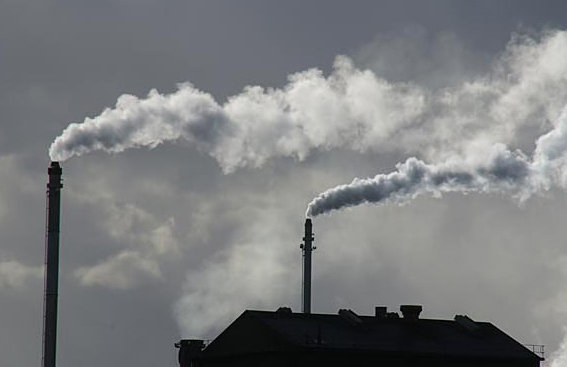 The data has been confimed by the Center for International Climate and Environmental Research in Oslo, which reports that the reduction was of 1.3%, despite the fact that both China and India saw an increase in their emissions. In the league table of “polluters” compiled by the Norwegian researchers, China takes the top spot as it was responsible for 24% of global CO2 emissions in 2009, this is an increase of 9%. Next is the USA, which causes 17% of global emissions and then in third place is the European Union which as a group contributes 11%. A significant share of emissions is caused by emerging markets such as Brazil. India too is going against the general global trend and saw an increase in its emissions of 6%. The reduction in CO2, above all in western countries, does not appear to be the result of any virtuous behaviour on their part or as a result of their attempts to combat global warming or safeguard the environment. “This reduction has gone hand in hand with the global recession” – explains Gunnar Myhre, one of the authors of the research published by Environmental Research Letters. It is no coincidence that the economies of China and India, have continued growing at a fast rate. “The problem, continues Gunnar Myhre – is that in China the emissions are growing at a faster rate than the economy, and this is due to the significant investment in steel and cement which are heavily polluting sectors. As well, thanks to their huge level of exports, China is benefitting not only from its own economic stimulus plan but that of other countries”. This new data, along with a new study, a report published in Brussels by two international NGOs: Health and Environment Alliance (Heal), and Health Care Without Harm (Hcwh), among whose aims are the safeguaring of health through the reduction of pollution levels and by combatting climate change, have stated that it would be useful for the health of EU citizens, to strengthen the goal of reducing greenhouse gases by raising the target from the current 20% to a more ambitious reduction level of 30%. The report also takes into consideration the benefits for human health, and the reduction in costs relating to curing chronic diseases, costs related to hospital funding, medical visits and medicines and they also take into consideration the elimination of the thousands of working days lost due to illnesses related to pollution. There would also be benefits for the various European health services, but also an increase in life expectancy for the entire population. According to these same studies, the reduction in emissions would have significant benefits for the economy, with an increase in productivity: there would also be a reduction in the current 333,000 working days lost due to respiratory and caridiac problems. In Europe, the aim of reducing CO2 emissions by 20% which has already been commited to, would lead to a reduction in health service costs equal to €52 billion per annum until 2020. Raising the threshold to 30% would lead to a further saving of €30.5 billion per annum. The countries that would benefit most are: Germany (€8.1 bn), Poland (€4 bn), France (€3.5 bn), Italy (€3.4 bn), Netherlands (€1.1 bn), Belgium, Spain and the United Kingdom each saving (€0.9 bn). This new challenge of raising the threshold could be thrown down to EU members at the next meeting at Cancun, due to take place in December 2010. Starting on 28 September of this year, the International Organisation of Civil Aviation in Montreal will discuss how to reduce emissions from airline jet engines but this is a goal that would require the consensus of national governments, Nevertheless, the airline industry has set itself the aim of increasing the efficiency of airline engine efficiency by 1.5% every year until 2020 and of halving, by 2050, the emissions the sector causes, using 2005 as its base case. According to the Director General, of IATA, Giovanni Bisignani, “The last 18 years have, from a financial point of view, been the worst in the history of commercial aviation. But even in these difficult times, the resources allocated to defending the environment have not been cut, In the next ten years, the industry will spend $US1,300 billion for 12,000 new airplanes. Each new airplane will be 20-25% more efficient compared to the airplanes that were previously being built”. Clearly industrialised countries are making some sort of effort to reduce their CO2 emissions by finding alternative sources of cleaner energy. However, if the global economy, which has been in serious difficulty in the last year and a half, has been responsible for goals in reduction emissions being reached that were unthinkable only a few years ago, one has to think that perhaps it might not be simple for this positive trend to be maintained when the economy begins to return to an even keel. This may be made all the more difficult,as emerging market economies that are seeing impressive growth rates, do not appear to be committed to reducing emissions or spending capital to modernize their industries to reduce pollution. 2011 could be the year of positive change, or quite possibly a missed opportunity in the battle against CO2 emissions.